A global marketing research consultancy, specializing in the pharmaceutical and biotechnology industry is looking for a new VP. This is a seller-doer role, with a team to help complete projects. You will have strong business development responsibility and quality business sense. 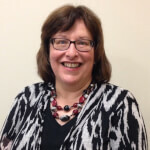 Liz Siegel is a career researcher with over 20 years' experience in consumer insights. She understands your research talent needs. With her experience, Liz will help you make the best match for your company and for you, the candidate.